Eco-campaigner and Green council candidate Tom Druitt has voiced his “relief” after another endangered healthy elm tree looks set for a reprieve. 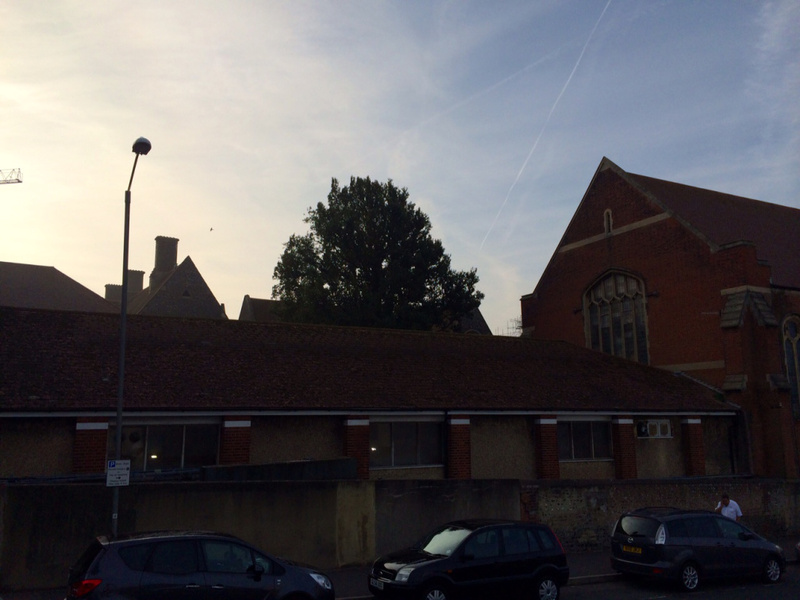 On Wednesday, Brighton and Hove City Council’s planning committee rejected Brighton College’s plans to build a five storey study building where a rare healthy elm tree stands. Tom Druitt spoke passionately at the meeting, and was thrilled when the application was turned down to save the tree. He said: “I am hugely relieved that councillors made the right decision and helped to keep a healthy elm tree for the benefit of the school, pupils and the wider community. “This was a very rare elm and its loss would have sent all the wrong messages about the importance of protecting our environment especially to young people. “Thank you to everyone who voiced their concerns and thank you to the councillors for making the right decision when so many factors need to be weighed up a planning decision. “It may seem to be about just another tree but this is an important and extremely welcome decision for the whole city because of what it demonstrates about local attitudes to protecting the environment. Mr Druitt, who will stand in the Regency ward in next May’s local elections, previously helped save an elm at Brighton’s Seven Dials roundabout in March 2013 from being felled to make way for a new road layout by living in it for a couple of days. The councillors, who must consider each application on its merits and do not vote on planning matters on party lines, listened, voting by a majority to reject the school’s application. There is some debate about what exact sub-species the elm belongs to with the council’s arboriculturist saying it is an English Elm and others suggesting the tree is a Wheatley Elm – both are rare and native to England. There would be far more to celebrate if somebody had planted a NEW elm tree somewhere. If we just “save” existing ones and never plant any more, they’ll still all be gone in the end. It will be interesting to see how many trees will be removed from St Peters Church to The Stein when the work starts. I don’t know why Druitt has such a fixation on saving old trees – eventually the tree will die and then all the carbon it has absorbed will be released back into the environment. And apparently as trees get older and stop growing the amount of Carbon Dioxide they produce overnight through respiration is about the same as the Oxygen they produce during the day from photosynthesis. If you really want to help the environment and reduce CO2 in the atmosphere what you need, as @feline1 states, is to plant more trees, bushes, and especially fast growing plants such as bamboo to start taking more out of the air. SO perhaps the old trees should be cut down and a policy of planting more trees across the city started instead (do you remember plant-a-tree in ’73?). Mind you, who would expect a green party activist to actually know anything about real science – they seem more focussed on left-wing ideologies and quackery. Of course, Druitt, as Managing Director of The Big Lemon Bus Company, and potential Kitcat replacement, wants to look all pro-environmental whilst diverting interest away from all his vehicles that, allegedly, are some of the worst Nitrous Oxide pollutant generators in the city.